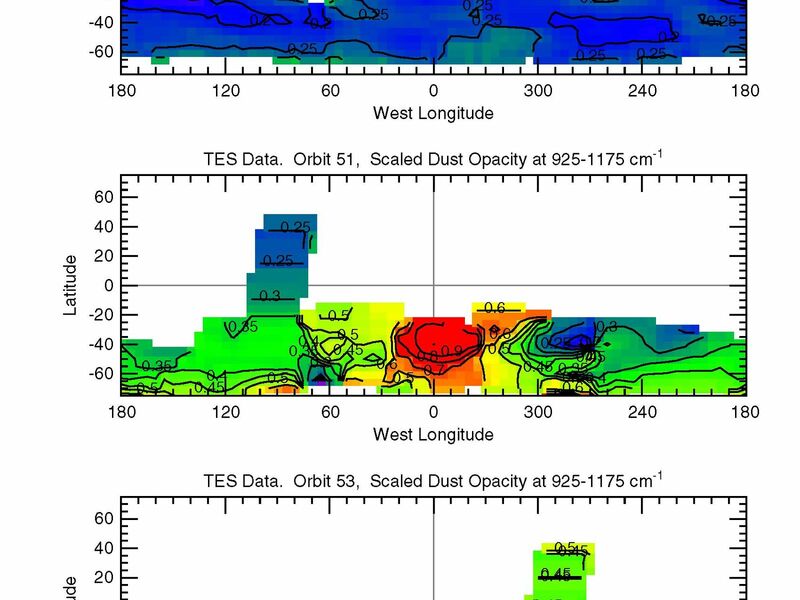 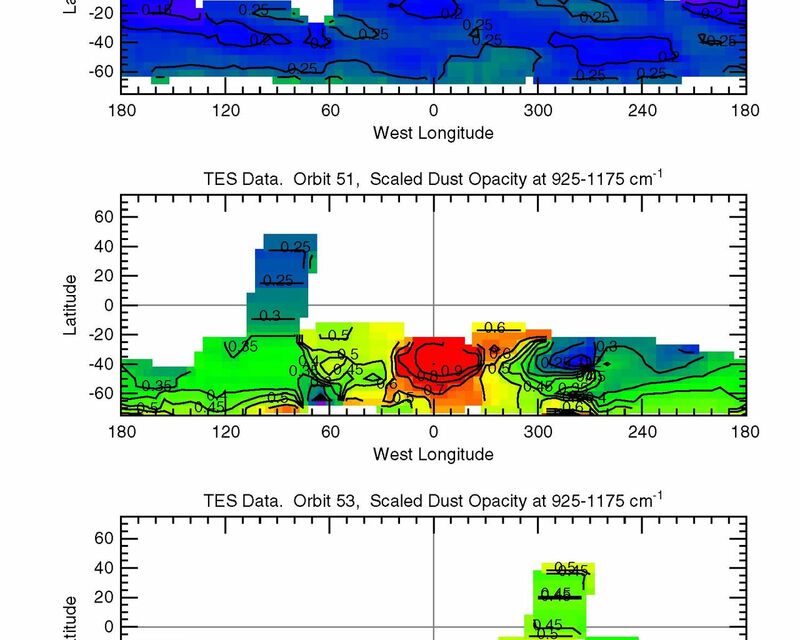 Variation of dust content with time shows the growth of a storm. 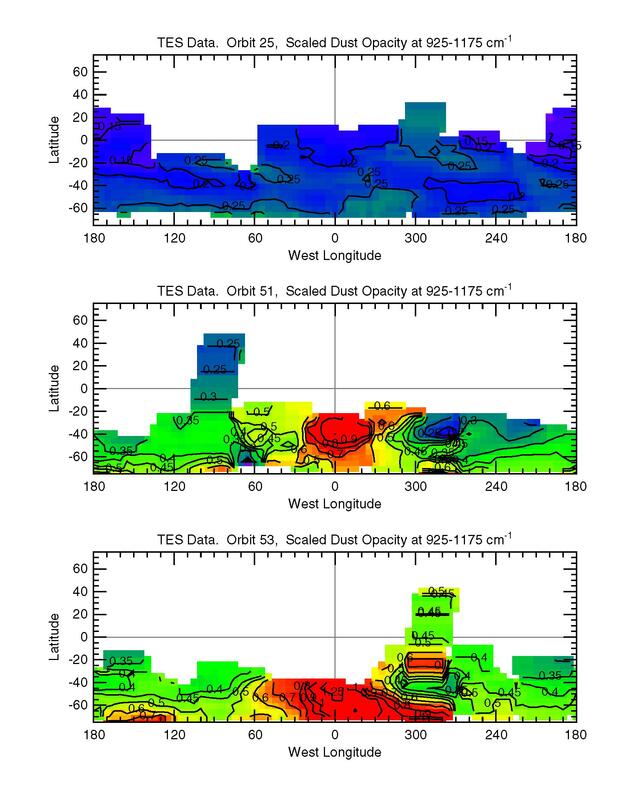 Opacities range from 0.15 (violet) to 1.25 (red). 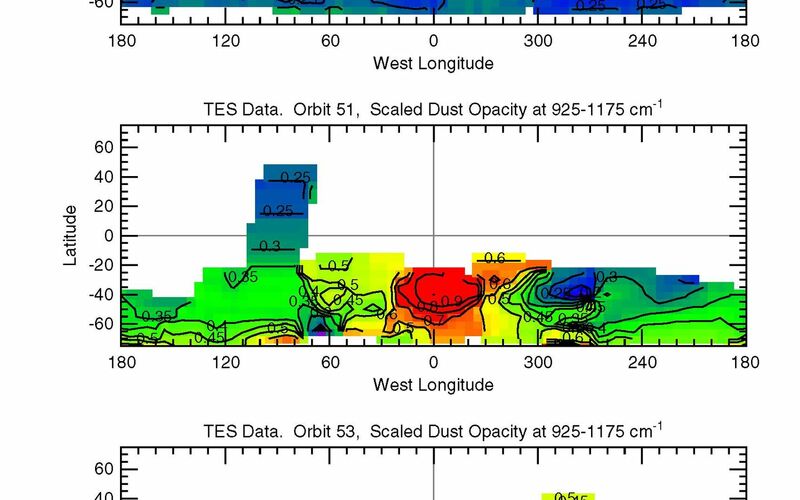 Orbit 25 is 10-21-1997, orbit 51 is 11-27-1997, and orbit 53 is 11-30-1997.